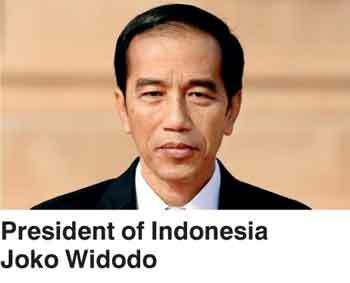 At the invitation of President Maithripala Sirisena, President of Indonesia Joko Widodo will undertake a State visit to Sri Lanka from 24-25 January 2018. The Indonesian President will be accorded a ceremonial welcome with a guard of honour and a twenty-one gun salute at the Presidential Secretariat on the evening of 24 January, followed by official bilateral discussions with President Sirisena on a wide range of issues of mutual interest. Several Memoranda of Understanding are to be inked between the two countries during the visit. Prime Minister Ranil Wickremesinghe will also have discussions on economic, trade and investment cooperation with President Widodo at a breakfast meeting on 25 January. Sri Lanka and Indonesia established diplomatic relations 65 years ago, and have been maintaining cordial bilateral relations since then. In 2016, President Maithripala Sirisena undertook a State visit to Indonesia.